BRAMPTON, ON — After a record-setting season in 2016-17, all eyes were on the Brampton Beast this past fall to build on that success. But the start to their season was a foreshadowing of what was to come. Brampton stumbled out of the gate this season, losing their first six games and nine of their first 11 contests. It’s said that you can’t make the playoffs early in the season but you can certainly put in place the conditions to miss them. The Beast then went on a six game winning streak but were already looking up at the division leaders a quarter of the way into the season. As the calendar turned from 2017 to 2018, the Beast struggled again dropping seven of eight games, all but ending any playoff hopes at the mid-point of the season. The 2017-18 season saw the Beast receive players from the Laval Rocket (Montreal Canadiens) and Belleville Senators (Ottawa Senators) with a total of an astounding 52 players dressing for the Beast over the course of the year. Brampton struggled all season fielding a consistent roster with many of their core players up and down between Laval, Belleville and the Beast. One bright spot was the solid stream of quality goaltenders that the Beast received throughout the year. 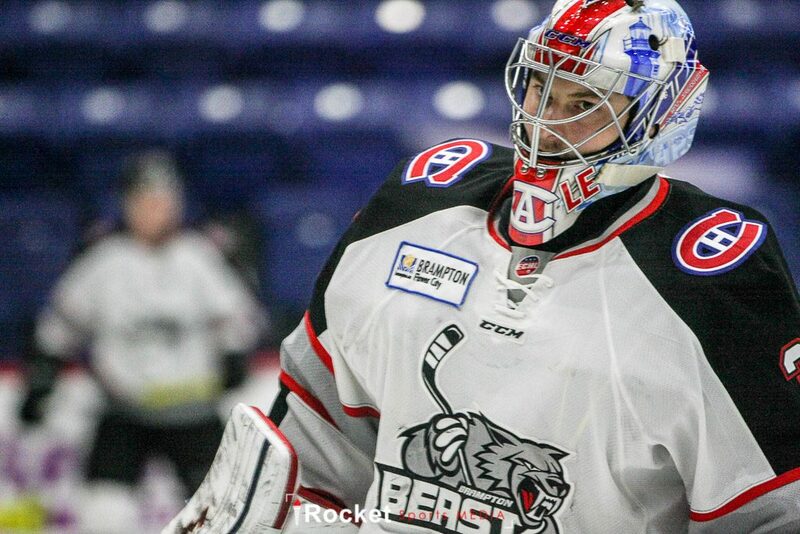 With the likes of Zach Fucale, Michael McNiven, Chris Driedger, Marcus Hogberg and veteran Andrew D’Agostini playing for the Beast over the season goaltending was never a weak spot. The loss of key defenceman through the season was problematic for the Beast. 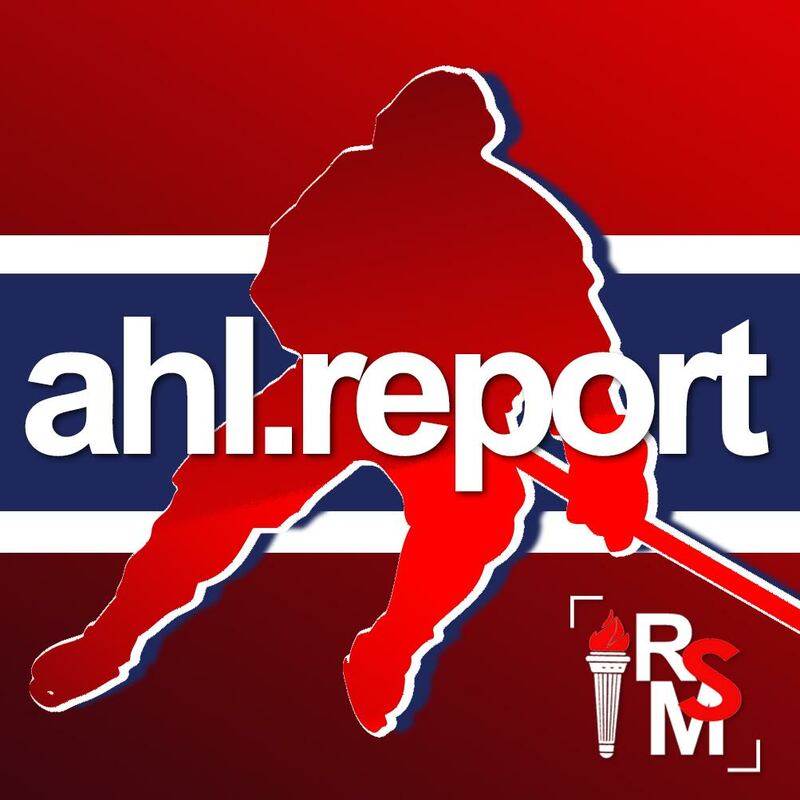 Veteran Willie Corrin spent a considerable amount of time with Laval. Stalwart rearguard Jordan Henry missed a good stretch of the year with injuries. Both Reggie Traccitto and Matt Petgrave were missing from the blue line after being signed to AHL contracts. The forward position was a strong point for the Beast as they received balanced scoring throughout the season. Captain Brandon Marino was the Beast point leader again this season and eclipsed franchise marks for goals assists as well as being the longest serving captain. Special teams were a both a bright spot and troublesome. The Beast have the third best penalty-kill in the league at a 86.2 per cent success rate. It appeared that the Beast were a threat to score almost anytime they were short-handed. On the flip side, the lack of power-play success was troubling, costing the Beast numerous victories throughout the season. At a 14.1 per cent conversion rate, Brampton was ranked 23rd on the power-play scoring just 36 goals with the man advantage and allowing 12 shorthanded goals. The team could never find the right personnel combination to make the power-play work. Brampton has a good solid core of players that could return next season. Hopefully they will be afforded an opportunity to ice a more stable roster but such is the life of a minor league NHL affiliate. I expect that we will see the Brampton Beast return to the Kelly Cup playoffs next season.